This former Sea Island cotton plantation, is now a historic site. The majority of the people living here from the 1700s-1980s strove daily for their freedom and equality. 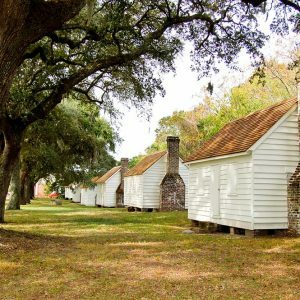 Today several 19th century buildings still stand, including slave houses lived in until 1990, several out buildings and the main house that served as the Freedman’s Bureau James Island field office following the Civil War. A cemetery, known as the Sankofa Burial Site of our African Ancestors, is the final resting place for approximately 100 people. Tours exploring how people transitioned from slavery to freedom through the post-civil rights era are recommended.